With all the success Superhero reboots have had over the last decade, notably Christopher Nolan’s Batman trilogy and Marc Webb’s ‘The Amazing Spiderman’, it was no surprise that Superman finally received the Hollywood makeover. Long since the days of the extremely popular Superman series featuring Christopher Reeve and a subsequent commercial flop in the 2006 ‘Superman Returns’ set the iconic red cape in pole position for a reboot. Following the overwhelming success of Nolan’s Batman, ‘The Dark Knight Rises’ alone grossed $1.075 billion globally, it seemed that Warner Bros. had a ready-made blueprint in place to follow for the film. With a director known for blockbusters ‘300’ and ‘Watchmen’ in Zack Snyder coupled with genre expert Christopher Nolan as producer it would seem ‘The Man of Steel’ had all the foundations for success. With a production dream team in place does the ‘Man of Steel’ successfully resurrect the famous Kent Clark to the dizzying heights of everyone’s other favourite Caped Crusader? As with all reboots ‘Man of Steel’ starts from the beginning as it retails the making of Superhero from his out of world beginnings. In a galaxy far away an alien race faces extinction on their planet, Krypton. As the indigenous race deliberates a course of action military leader General Zod (Michael Shannon) attempts a military coup in order to take a genetic codex that can save the race for future generations. Zod’s plans are stopped by scientist Jor-El (Russell Crowe) who sends the codex with his new born son to earth before it can be seized. Zod is reprimanded and exiled to the depths of space but Krypton’s destruction is inevitable leaving a lone child left of the alien race. Landing in Smallville, Kansas, the child is found by a farmer in the form of Kevin Costner who assimilates him into normal society. Renamed Clark (Henry Cavill) he lives a nomadic existence as he shunned by society for his special powers as he searches for who he really is and where he came from. With Christopher Nolan overlooking proceedings it’s easy to see his influence as ‘Man of Steel’ tries to forge a realistic take on proceedings, taking lead from the recent Batman trilogy as a believable, modern tale. While Batman’s story is entrenched in a real(ish) world Superman’s is not which is what stops the film from ever being as successful or enthralling as its contemporary. The fact Superman heralds from an alien world and isn’t at heart actually human takes away from the plot, it’s the sci-fi elements of the film that stop it from ever being able to come close to reimaging Superman in today’s world rather than the impossible world of Superheroes and extra-terrestrial life. It can be argued that all Superhero films are entirely unbelievable and unrealistic but as Nolan’s Batman proves it’s certainly possible to craft something far removed from the fantasy comic book world. The issue with ‘Man of Steel’ is that despite its best attempts it still can’t escape the science fiction nature of its story which hinders Nolan’s attempts to push the film’s personal drama. The most notable example being a stilted, forced romance between Clark and reporter Louis Lane (Amy Adams) that never feels real. ‘Man of Steel’ may not live up to the impossible expectations Batman has set for Superhero films but it is by no means a failure, being a success in its own micro genre of Superman. The film doesn’t differentiate itself too much from the blockbuster formula seen in Iron Man and Transformers but nevertheless is an enjoyable action packed romp. Action speaks louder than words has always been the case for Superman and the film follows in this vain. The dialogue is completely unmemorable throughout, also often extremely corny, with relative unknown lead Henry Cavill doing little more than looking the part as Clark Kent but as his star studded cast also fail to ignite any meaningful conversation it’s likely that the poor script is to blame for these shortcomings. Luckily the action sequences are brilliantly choreographed offering something surprisingly memorable in the midst of a CGI centric time. The fights, coming thick and fast towards the end of the film, are incredibly frantic as combatants smash through buildings and familiar sites as if it were cardboard making for great entertainment value. The film predictably uses 3-D but manages to apply it in a unique way that’s a breath of fresh air, rather than create set pieces around 3-D or overload on it director Snyder has successfully incorporated it with great subtlety. Most scenes containing dialogue are filmed in close ups which would suggest that the use of 3-D is unnecessary but actually it adds a certain amount of depth and style to some more mundane looking scenes without intruding. Credit must go to Snyder for not seeing 3-D and tailoring the film around it but trying something different that actually comes off. Perhaps the novelty of 3-D has worn off now and we’ll see it applied sparingly or as subtly as here in future. The challenge of Superman looked like it could be the Superhero most likely to knock Christopher Nolan’s Batman of its perch, yet it predictably fails to challenge The Dark Knight. 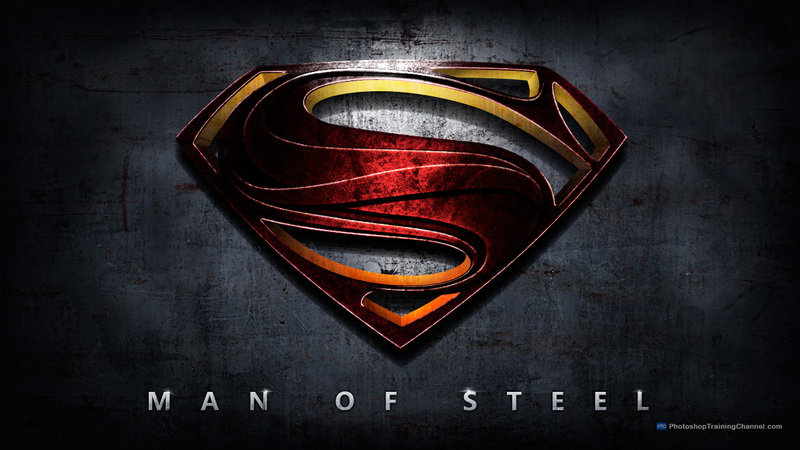 Though ‘Man of Steel’ is entertaining enough and has some spectacular fight sequences it seems like a missed opportunity to really make a landmark film that stands out amongst its peers as a truly memorable effort. The film has a stellar cast but fails to utilise them; protagonist Henry Cavill really is a man of steel with his wooden acting and the normally excellent Michael Shannon is the typical megalomaniac one dimensional villain we have seen so many times before. ‘Man of Steel’ sits in the same bracket as recent Iron Man and Spiderman films which shows that its far from a bad film just nothing particularly new; a predictable plot, corny moral lessons saved by great action. I disagree on several points, but I’ll stick with this… I don’t think Cavil’s acting was wooden. It felt more deliberately subdued to me. He’s a social outcast who, even as an adult, doesn’t really understand his place in this world. The movie could’ve used a bit more of the Reeve’s harm, but Cavil’s performance worked for what it was going for.